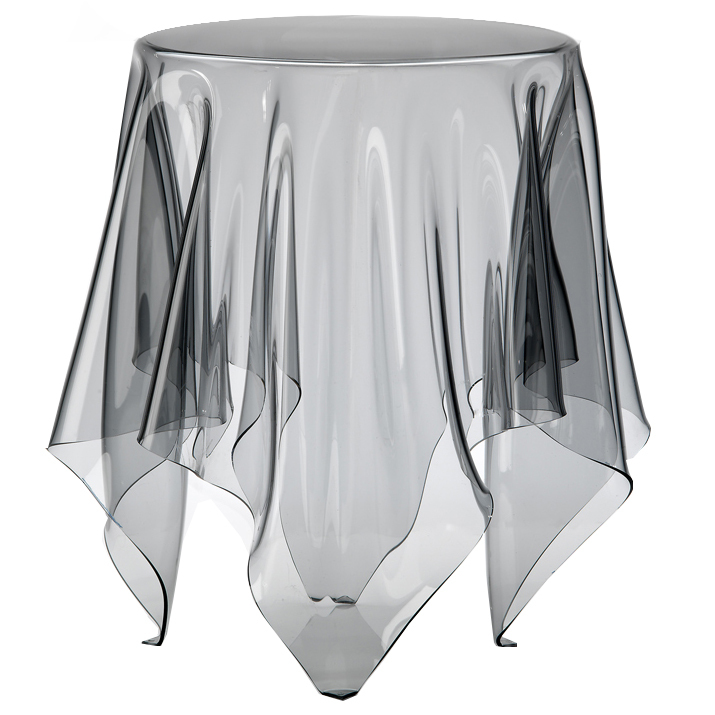 Grand Illusion (Illusion Grand) is a handmade side table of 4 mm acrylic. All Illusion tables are handmade, individual and unique.The design gives the impression of a table cloth on a round table. However, the object uses the structural strength of the folded material to create a magical and surprising experience - an illusion. Grand Illusion is currently only available in clear plastic. Material: Handmade in Acryl/PMMA plastic. Size: 21.6" h x 17.3" dia, PMMA 4mm thickness.